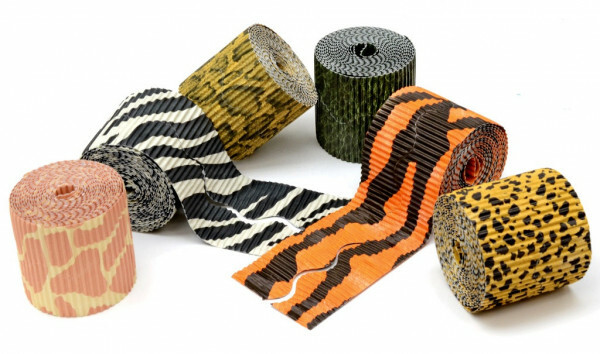 This assorted box of 6 Bordette Decorative Border Rolls with six different animal and safari patterns. Size: Each roll has 57mm x 15m of border. Bordette is a pre-cut border trim manufactured from corrugated Fadeless paper with a traditional scalloped edge.